Click the above image for a bigger version. Honestech today announced the release of “Claymation Studio Deluxe,” an easy-to-use stop-motion authoring software suite that enables novice users to create claymation, stop-motion video, animation and cell-based videos from imported images, photographs, music audio and recorded sound tracks. The price is currently set at $39.99 on the company’s website. Quite a bargain for those looking to get started with stop-motion animation. The software allows users to capture images using a digital camera, webcam, DV camcorder or any digital image source, create characters, apply small changes, and add background images and music to create complete claymation movies. You obviously won’t create the next Wallace & Gromit but this will help you get started even if you don’t plan on making it a career and simply want something fun and different to do. The Shonen Jump DEATH NOTE anime series has been licensed to Adult Swim for domestic broadcast beginning Saturday, October 20 at midnight. The mystery, inspired by a 12-volume manga, follows the adventures of Light Yagami, a student with great prospects who is bored out of his mind. All of that changes when he finds the Death Note, a strange notebook dropped by a Shinigami death god named Ryuk. Any human whose name is written in the notebook dies, and now Light has vowed to use the power of the Death Note to rid the world of evil. But when criminals mysteriously begin dropping dead, the authorities send the legendary detective L to track down the killer. With L hot on his heels, will Light lose sight of his noble goal — or his life? Volume 1 of DEATH NOTE, containing four episodes, will be released on DVD on November 20. Imagi Animation Studios is dancing in celebration right about because two of their feature films, Gatchaman and Astroboy have been picked up by The Weistein Company and Warnes Bros.! Gatchaman, scheduled for release in early 2009, originated in Japan in the early 1970s as the television series Science Ninja Team Gatchaman. Gatchaman is set in a future world struggling with environmental and technological issues. The story focuses on five heroes whose genetic code makes them Earth’s only hope of defeating invaders. 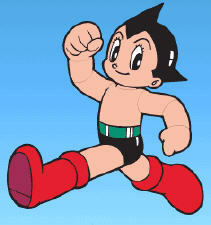 Astroboy was created by Osamu Tezuka, in the early 1950s. The animated television series first aired in 1963 in Japan. 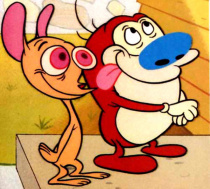 In the U.S., it quickly became a top-syndicated children’s show. 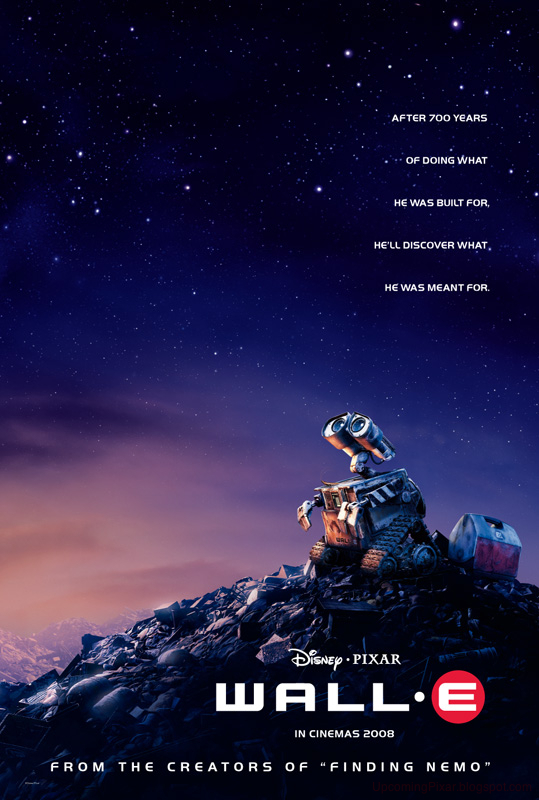 Scheduled for release later in 2009, the new Astroyboy feature tells the story of a powerful robot boy created by a brilliant scientist in the image of the son he has lost. Astroboy journeys to find acceptance in the human world, and ultimately discovers true friendship as he uses his incredible powers to help others and save Metro City from destruction. Yup, we did it! And by we I mean me. The Animation Blog has hit the 200th post milestone in a little under 7 months. Not bad at all for only one person running the entire blog. I want to say thank you from the bottom of my heart to each and every visitor who comes to TAB., especially those who visit the blog daily – you rock! Please continue to enjoy TAB and I’ll continue to work hard to provide you with great animation news and videos. Subscribe to the RSS feed and spread the word to your friends! 09/26/2007 | Miscellaneous | Comments Off on Our 200th post milestone! As you may or may not know, The Simpsons makes reference to A LOT of films such as The Shining and Mr. Smith Goes to Washington. Joey Devilla has compiled 66 of those references complete with screenshots. Check out all 66 references here. 1. NFL Football: Dallas at Chicago, NBC, 19.05 million viewers. 2. “Survivor: China,” CBS, 15.35 million viewers. 3. “CSI: Crime Scene Investigation,” CBS, 14.07 million viewers. 4. “Sunday Night NFL Pre-Kick,” NBC, 13.86 million viewers. 5. “Cold Case,” CBS, 12.75 million viewers. 6. “Deal Or No Deal” (Monday), NBC, 11.72 million viewers. 7. “Shark,” CBS, 11.42 million viewers. 8. “60 Minutes,” CBS, 11.37 million viewers. 9. “Without a Trace,” CBS, 11.28 million viewers. 10. “Two And a Half Men,” CBS, 10.84 million viewers. 11. “Family Guy,” Fox, 10.81 million viewers. 12. “Football Night in America, Part 3,” NBC, 10.29 million viewers. 13. “Deal Or No Deal” (Wednesday), NBC, 9.86 million viewers. 14. “CSI: Miami,” CBS, 9.65 million viewers. 15. “The Simpsons,” Fox, 9.55 million viewers. 16. “The OT,” Fox, 9.5 million viewers. 17. “Back to You,” Fox, 9.48 million viewers. 18. “Kid Nation – Special,” CBS, 9.38 million viewers. 19. “CSI: NY,” CBS, 9.18 million viewers. 20. “Desperate Housewives,” ABC, 9.02 million viewers. A lot of you already know of John K’s blog. Some of you may not. For those who don’t you owe it to yourself to visit it daily or even better, subscribe to its RSS feed to know exactly when a new post goes live! John Kricfalusi is an Emmy-nominated Canadian animator, better known as John K. He is creator of The Ren & Stimpy Show and The Ripping Friends animated series, The Goddamn George Liquor Program, the first animated series made using Macromedia Flash. He is a huge fan of classic cartoons and what they can teach today’s animators. He constantly posts very detailed posts teaching essentials that every animator should know. If you’re into animation or are thinking of getting into the scene, check out John K’s blog today! Check out these videos of all the couch gags from the beginning of each Simpsons episode from season 1-10. Someone sure had a lot of time on their hands. Enjoy! Peter Sciretta, from the awesome slashfilm website, was invited to a special screening of footage from Jerry Seinfeldâ€™s Bee Movie in San Francisco. Seinfeld and director Steve Hickner were in town to present the footage and do interviews. The report is very informative and entertaining. Don’t read it if you don’t want to spoil anything though! Monsters vs. Aliens, DreamWorks Animation’s first-ever film produced in stereoscopic 3-D technology, has been pushed up to a March 27, 2009 release. The release had been previously slated for May 15 and now avoids competition with James Cameron’s 3-D/CG fantasy, AVATAR, which opens May 22. While they will avoid the James Cameron heavyweight, DreamWorks Animation will now have to compete with Cloudy with a Chance of Meatballs, Sony Pictures Animation’s next 3D-animated feature, currently scheduled for March 27 as well. Monsters vs. Aliens reinvents the classic 1950s monster movie into a modern day action comedy. 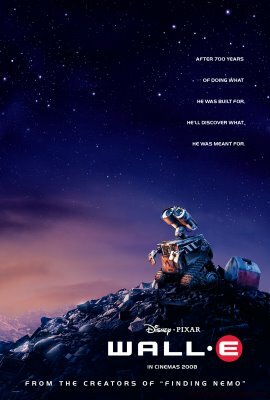 It is being directed by Conrad Vernon (Shrek 2) and Rob Letterman (Shark Tale).